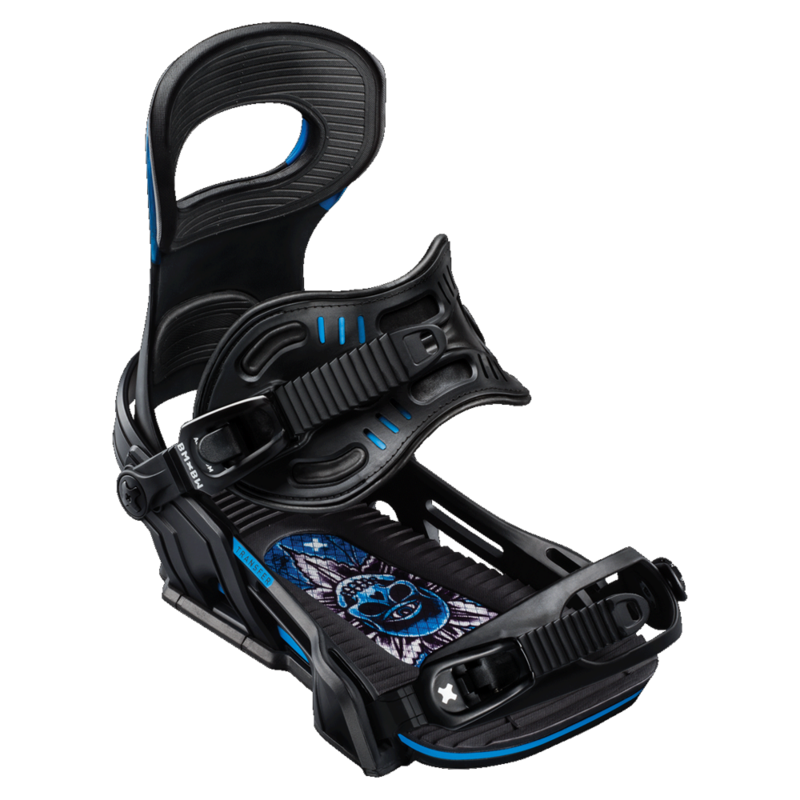 Mervin takes it’s 30 year legacy of handcrafting, environmental minded, high performance snowboard composite expertise and applies it to the boot / board interface…BENT METAL BINDING WORKS. A fully reimagined binding two years in testing and decades in the making, Bent Metal is a product we are thrilled to share with the world. A binding that we love looking at, love setting up, love strapping in to and love riding. Launching with a strong, simple, elegant design including performance high backs, light form straps, the revolutionary cube forward lean adjuster and the element of the binding we are most excited about; Flex Control Drive Plates. Like little snowboards for your bindings the Flex Control Drive Plates are made at Mervin Manufacturing in the USA by our skilled snowboard Kraftsmen. Mervin’s best manufacturing practices of carefully sourced environMENTALly nicer materials, zero hazardous waste manufacturing and personal attention to detail from a Kraftsmen with real “snowboarder” knowledge are all applied to these power transferring Flex Control Drive Plates. Pairing technological expertise with rigorous design protocols and tireless revisions Bent Metal Binding Works to dial in three all mountain drive plate/highback flex combinations creating three unique rides that give a rider of any predilection the logical power transfer solution. Like the Flex Control Drive Plates they ride, Bent Metal Binding Works’ team of power beasts is also Mervin Made. The original power freestyle legend himself Jamie Lynn is heading up the team and supplying iconic art on a year one graphic collaboration. Along with Jamie we have the world’s best names in freestyle snowboarding; Eric Jackson, Mark Landvik, Ted Borland, Jason Robinson, Frederik Kalbermatten, Brandon Reis and Jesse Burtner with more signing on by the week. These are exciting times for snowboarding and the Mervin family! We are stoked to apply our hands on composite skills to binding performance on the level of our snowboards with an all new technology made at the Mervin factory. Strap in to the future of performance with Bent Metal Binding Works!